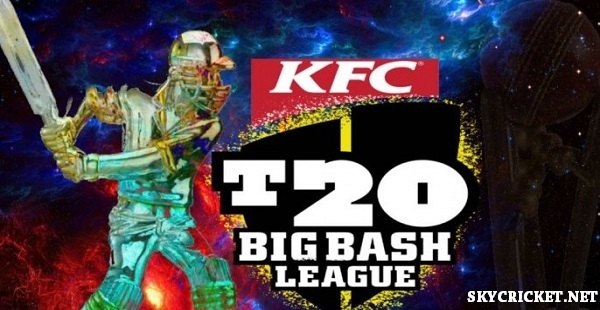 KFC T20 Big Bash League 2016/17 will kick start on 20 Dec, 2016 and Big Final will be played on 28 Jan, 2017. Matches are schedule in school holiday so families can have the opportunity to watch matches in stadium. Cricket Australia has signed a new broadcast television deal with United States of America and Canada. Broadcast deal includes 10 matches of upcoming edition of KFC BBL 2016-17 to be air live in States and Canada. At the moment broadcast deal is for one year which can be extended in future. NBC Sports Network will telecast 1 match per week of BBL live an on replay on TV channel. BBL matches will be shown to over 85 million houses, since NBCSN is part of basic television channels included in cable network. BBL 16-17 final will be aired on delay. CA has made these efforts to extend Big Bash League audience. It will be the first time BBL matches will be available to wider mainstream audience. Such move will help further progress of BBL T20 league and will attract US cricket fans. Cricket Australia has also renew broadcast rights with Willow TV channel for next 5 years. Willow TV subscribers will be able to watch live BBL matches through cricket.com dot au. Cricket Australia has also renewed broadcast rights with Asian Television Network for next 5 years. ATN TV channel will have the right to broadcast all Men, Women and BBL matches live in Canada. ATN subscribers would be able to watch live streaming of Big Bash League 16-17 live on cricket.com dot au. NBCSN president Jon Miller Willow TV chief executive Vijay Srinivasan were both happy with this deal and were thrilling to be partner with CA. Mr Srinivasan said, "We believe there is still enormous headroom for the US cricket audience to grow both on television and digital and we are excited that Australian cricket will be part of our programming through our next five years of growth."